This is not the complete list available for "Fixed Blade Knives". 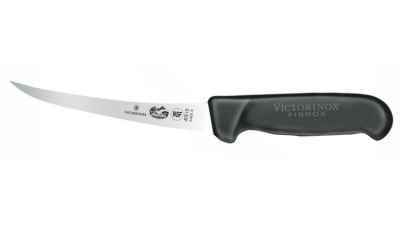 This has been filtered to show only Fixed Blade Knives results for the Victorinox Swiss Army brand. 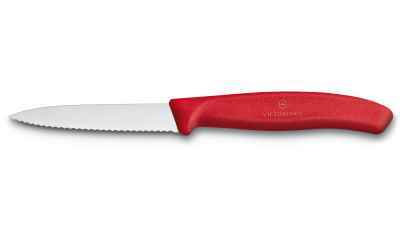 The wavy edge on this Victorinox Swiss Army 3�� serrated paring knife works great on tender fruits and vegetables. Don't be fooled by its bright pink handle as looks can be deceiving. 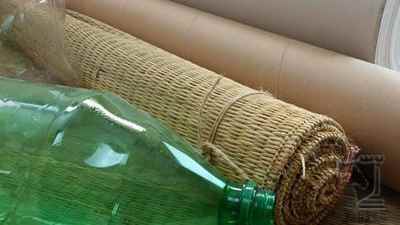 Don't be fooled by its bright green handle as looks can be deceiving. 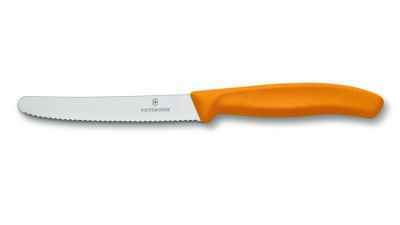 Don't be fooled by its bright orange handle as looks can be deceiving. 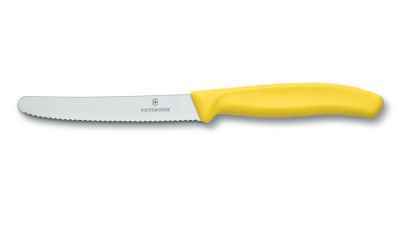 Don't be fooled by its bright yellow handle as looks can be deceiving.